I hope your September is off to a great start! I'm already in such a festive mood. Fred and I just made our events calendar for the fall and holiday season. There are so many fun things coming up in these next couple of months, I just want to slow down a bit and enjoy all of it! 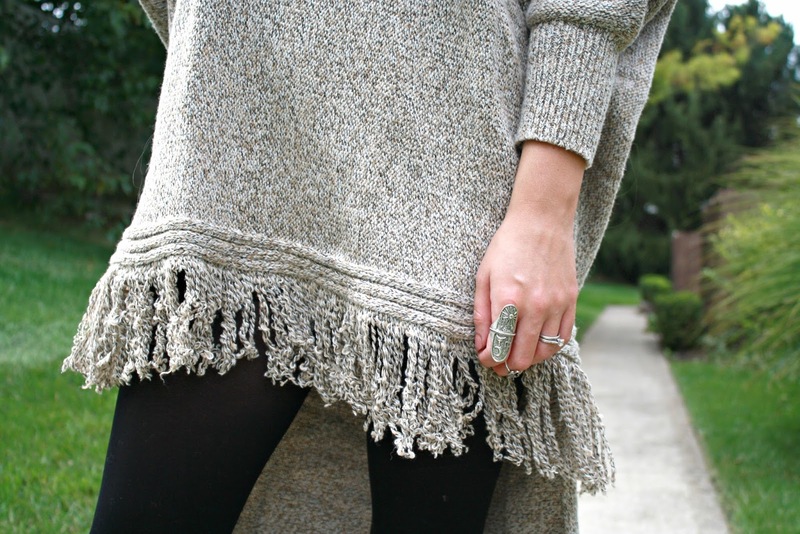 This fringed gray sweater is from Zaful. I love it so so much! It's oversized and cozy. 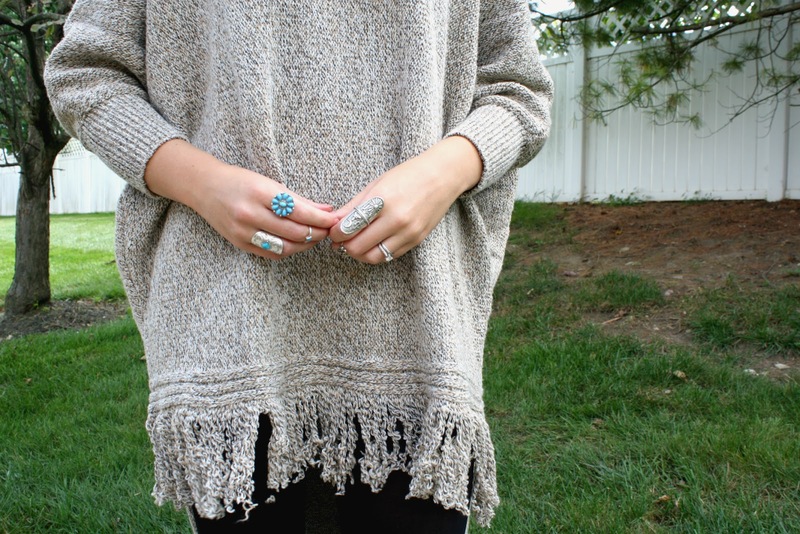 It's the perfect type of sweater to throw on for a chilly fall morning. It's the best sweater for coffee runs and errands. It's just a must-have in my opinion! The crazy part is, it's on sale right now for... $14.99! These turquoise + cactus rings are also from Zaful and they came in a set. I'm pretty much obsessed with the two cactus ones, they're adorable. 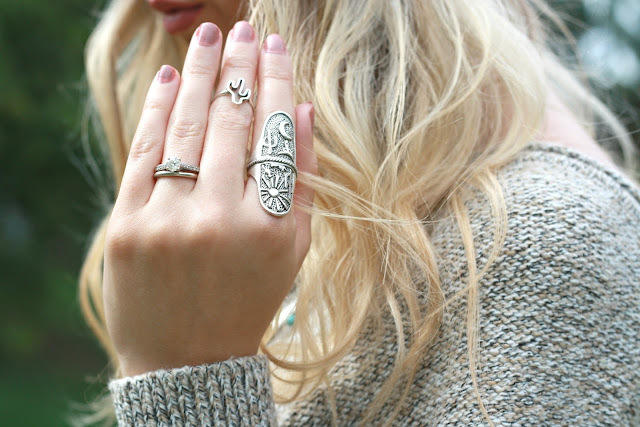 I've been looking for cactus rings for awhile now so this is a dream set for me. I'm also loving feather pieces recently and I adore this turquoise & silver, feather statement necklace! I got it from Rosegal! I think to define success, you must first define your purpose in life. It's only once you decide what/who it is that you're living for that you can define what success really means to you. If your purpose in life is to serve God and serve others but you define success by how well known you are, how good you are at a certain thing, or how much money you make, there is a disconnect. Believe me, I'm not speaking from a throne of condemnation and judgement. I know that disconnect very well. I constantly have to remind myself of my purpose and then go back and redefine my meaning of success. Inner peace comes from knowing that you are living to fulfill your purpose and defining success on your own terms. There's peace in living and fighting for what you believe is important not what society tells us is. *I've received products from Zaful and Rosegal. All opinions are 100% my own. Thank you for supporting the companies that support BG by Christina!